Spring Framework guides ''Building Java Projects with Gradle'': http://spring.io/guides/gs/gradle/ is a good reference for this topic. ☝ step 2: specify settings of the project. Alternatively, one can create a Java project using Gradle from UNIX command line and optionally import it later into an IDE such as IntelliJ IDEA or Eclipse. Alternatively, use gradle buildInit --type java-library to create it. I added these code in a repository on GitHub. The actual code in the repository is slightly different from the above as I have developed new content and played with variations in it. To use sourceCompatibility = '1.8', it might need to set JAVA_HOME environment variable to value of /usr/libexec/java_home -v 1.8. The build/ sub-directory contains the build, Java doc pages, JUnit test reports, etc. IntelliJ IDEA is a popular IDE for Java. One can import the Gradle project created above to the IDE. Import the Gradle project into IntelliJ IDEA, by following the documentation instruction "Importing Project from Gradle Model". For project settings, I just chose "Use default gradle wrapper (recommended)", which seems to cause a predefined set of tasks to be created in the Gradle tool window such as "compile", "build", "clean", etc. Add the library as a "project library" (by following the automatically prompted window after step 2) or as a global library, by following the documentation instruction "Configuring Project and Global Libraries". If the IDE still reports "Cannot resolve symbol 'google'" and highlights 'google' as red in import com.google.common.base.Strings, one may try using File | Invalidate Caches / Restart … to force the rebuilding of syntax highlighting in the editor window. One can then open the Gradle tool window, and run the various Gradle tasks such as "compile", "build", and "clean". 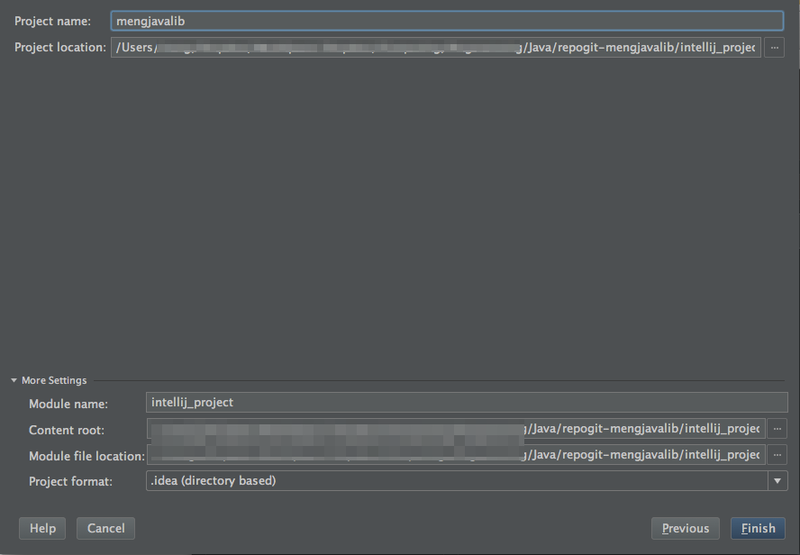 The official IntelliJ IDEA documentation ''Gradle Tool Window'' to get an introduction. Hitting build under "All tasks" is equivalent to running gradle build at UNIX command line. It generates /build under project root path. Note JUnit test report is at /build/reports/tests/; Similarly, compileJava compiles Java and javadoc creates Javadoc pages in /build/javadoc/. See Gradle documentation for the list of Gradle tasks.